Futureflue carry out a full inspection of the chimney in the property from the fireplace or appliance to the stack at roof level. The purpose of this inspection is to discover any signs of damage in the flue shaft and to establish if there is any damage to the chimney stack. This inspection will enable us to complete an accurate assessment of the damage for the insurance company if necessary. If further investigation is required or the cause of the damage is not clear then a CCTV inspection can be carried out from the fireplace to create a video recording of the flue shaft from top to bottom. Futureflue may carry out a full CCTV inspection of the chimney flue shaft to establish fully the extent of damage to the flue shaft after a chimney fire occurrence. 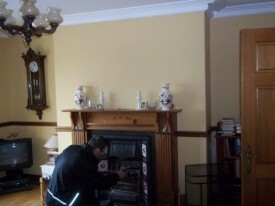 This inspection is carried out from the fireplace, soot box or appliance in the property. Floors are covered and vacuumed if necessary leaving the property as clean as it was when we arrived. A CCTV survey is often a requirement for insurance companies to show evidence of chimney damage which may not otherwise be visible. Futureflue provide a DVD video of the recording with a full written report of the findings to assist in the process of filing an insurance claim to cover the cost of having the chimney repaired. A Comprehensive survey and survey report detailing the problems with the chimney and any other associated problems or issues contributing to the problem are essential when pursuing an insurance claim. Futureflue are very farmiliar with the requirements of filing an insurance claim and can provide assistance to the householder in preparation and guidance in the filing of an insurance claim for the purpose of having chimney damage repaired. 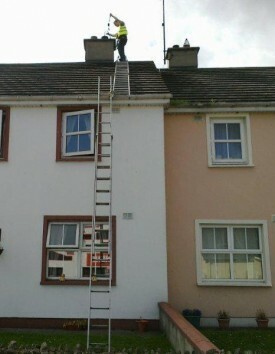 Please contact us for further information regarding chimney surveying.